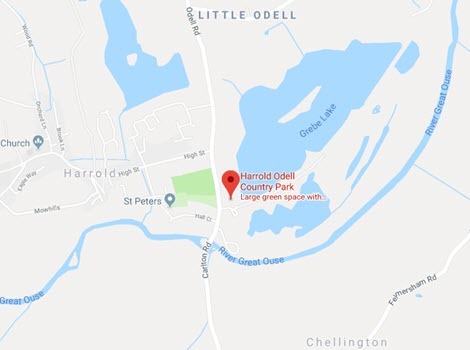 WHO ARE THE FRIENDS OF HARROLD-ODELL COUNTRY PARK? The Friends of HOCP is a voluntary organization governed by Constitution (click here for a copy). Membership is open to anyone and is free. Friends can be a passive members of the organisation, taking an interest in the Park and receiving a quarterly Newsletter. Alternatively, they can become an active volunteer, working with the staff to maintain and conserve the environment of the Park. To become a Friend, ask one of the Park Wardens for a Registration Form or contact the Secretary via the Park Office. • participate in and help with events in the Park. What does the Friends' Committee do? This is an elected body (required by the Constitution) that meets three times a year to (a) administer money raised in the Park, (b) identify special projects and (c) to plan events. It works closely with the staff of the Park and with Bedford Borough Council. All meetings are open to registered Friends of HOCP.